An ‘old new touch’ is planned for the entryway to one of Regina’s most historic streetscapes. Regina designers Amanda Lang and Christine Bachinsky will transform a corner of 13th Avenue and Albert Street using century-old bricks and limestone salvaged by volunteers from demolished Connaught School. “We envision creating a delightful and inviting place that encourages people to sit and meet with their neighbours,” said Lang. Project organizers have launched a campaign to raise the final $1,500 needed for the project, and are seeking volunteers to help out. Volunteers with construction experience and equipment are especially welcome, but anyone can take part. The first work bee will take place during the second week of July. The design is called Rassembler, meaning ‘to gather.’ It plays on a frieze of stylized linked people by renowned Canadian architect Clifford Wiens, which once encircled Connaught’s distinctive round gymnasium. “We chose to reference the ‘stone people’ because we see this form as an expression of the strong sense of community and pride that is shared by the residents of Cathedral Village,” explained Bachinsky. The school’s colourful century-old red and gold bricks will be combined with pieces of hand-carved limestone, rescued from the City landfill by citizens last November. 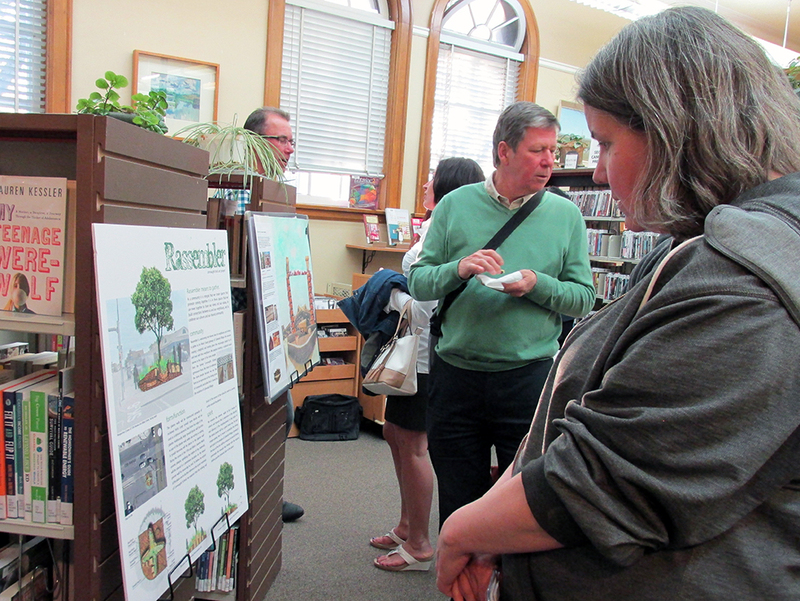 “The project models responsible recycling and shows respect for the true value of irreplaceable heritage materials,” said project coordinator Trish Elliott. And it’s a group effort all the way. The project, supported by the Cathedral Area Community Association and Save Our Connaught Heritage, was made possible when local business operator Von Agioritis stepped forward to provide the location. Frontier Masonry, Botkin Historic Building Conservators, Cindercrete Concrete Products, MPM Construction, Groovy Mama and City of Regina landfill staff are among those who have assisted the reclamation effort, along with many individuals. Sweat equity volunteers may contact the CACA or email savourconnaught@gmail.com.